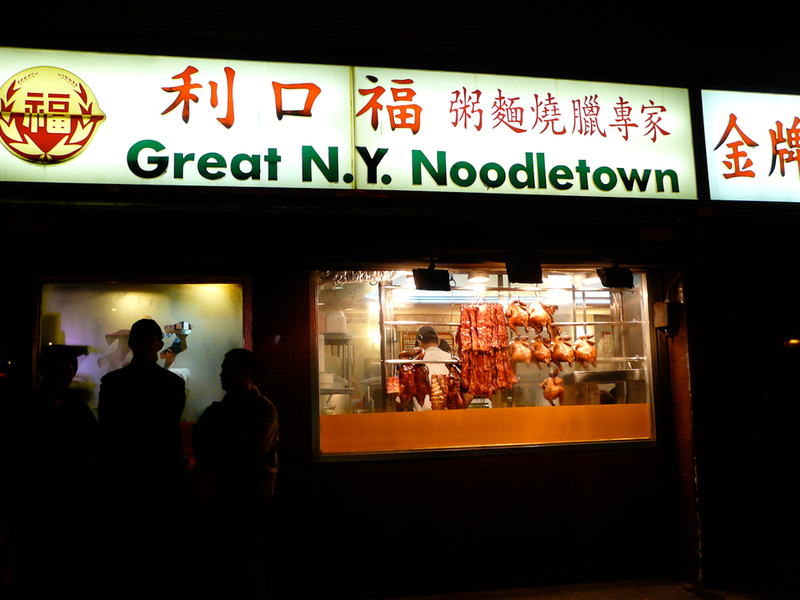 After a busy dinner service at the restaurant, around 11-11:30pm, I’ll often find myself heading to Chinatown to have some late night food at Great New York Noodletown. I love the organized chaos of the place -- neighborhood people grabbing late dinners, cabbies stopping in to refuel on wonton noodle soup, tourists trying to figure out how the menu works. One of my favorite dishes to get is shredded roast duck with flowering chives. If I’m meeting friends, so much the better, then there’ll be more food. We’ll maybe order salt baked flounder or one of the special casseroles as well as a few Tsingtao beers to wash it all down. Dan Silverman is the former executive chef of the Regency Bar & Grill in New York. Formerly of the Standard Grill, Lever House, Alison on Dominick Street, Union Square Cafe and Bouley. He was named one of Food & Wine’s Best New Chefs in 1997.